A magistrate investigating Senator Alvaro Uribe never told the Supreme Court she used to work for the controversial former president’s attorney, according to weekly Semana. Magistrate Cristina Eugenia Lombano never included her work experience with Uribe’s defense attorney, Jaime Granados, on the curriculum vitae given to the court before her election in August 2018. Lombano was forced to admit she worked with Granados and had failed to tell the court about this following open information requests filed by journalist Daniel Coronell. According to the magistrate, she met Granados in 1995 and worked with him for “approximately three months” in 1997. The magistrate is now investigating the former president’s alleged tampering of witnesses who have testified that Uribe had illegally formed the “Bloque Metro” death squad in 1996 when the former Medellin Cartel associate was governor of the war-torn Antioquia province. Lombano told Coronell she never informed the court about her labor ties to the attorney defending Uribe in the witness tampering case because somebody told her there exist no registries of her employment in the books of Granados’ law firm. According to newspaper El Tiempo, Lombano comes from a family of top military officials and magistrates. The army major became a judge for the country’s disgraced military justice system in 2002, the year in which Uribe was elected president and the military began executing civilians on an almost industrial scale in virtual impunity. 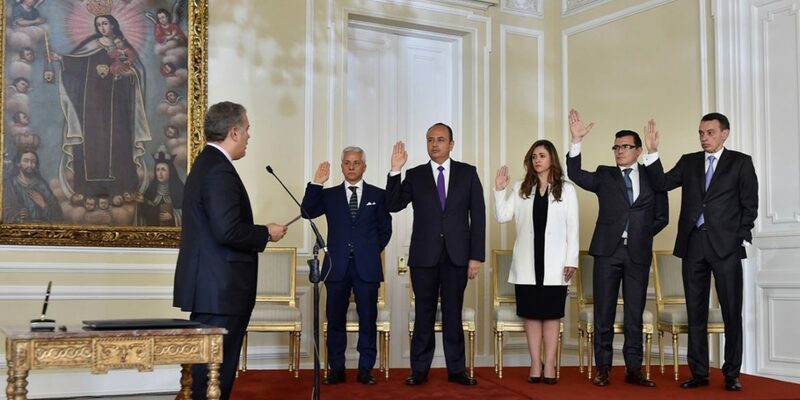 She was sworn in as a member of the Supreme Court’s Instructions Chamber by President Ivan Duque, Uribe’s protege, in September last year and has since been involved in one of the most high-profile criminal probes in history. But had the Supreme Court known she used to work for Uribe’s defense attorney, Lombana may never have been elected to the chamber currently investigating her former employer’s most important client.